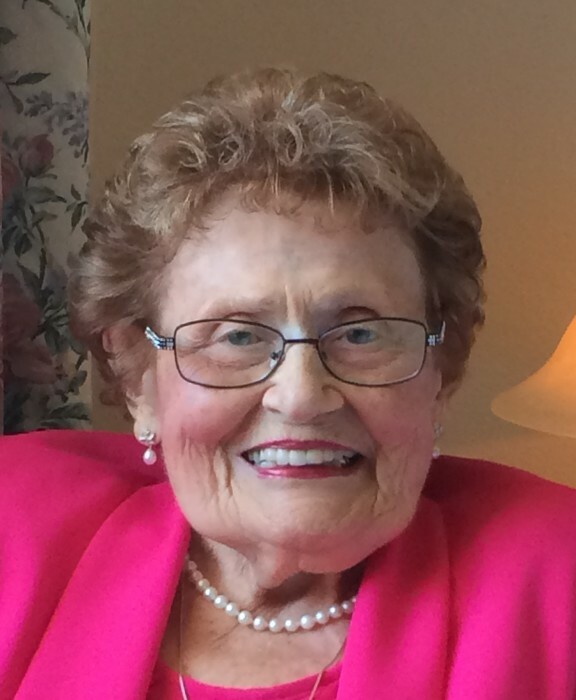 Darlene “Dolly” Genevieve Cowin passed away peacefully Wednesday, Aug. 8, 2018, in Centralia. She was born Nov. 9, 1925, to Richard D. and Vida N. Claus on the family farm in Plymouth, Iowa. She graduated from Plymouth High School in 1943. Dolly then attended St. Lukes's Methodist Hospital School of Nursing in Cedar Rapids, Iowa, graduating in 1946. She was in the Airforce Cadet Nurse Corp from 1943 to 1946, while attending St. Luke’s. In 1947, Dolly moved to Seattle to receive further nursing training at the University of Washington. It was in Seattle that she met her husband, William R. Cowin. They were married in 1948, in Plymouth, Iowa. They made their home in Seattle where they raised five sons and were active in their church and community. They were happily married for 65 years. Dolly worked at Highline Community Hospital in labor and delivery, retiring after 35 years. 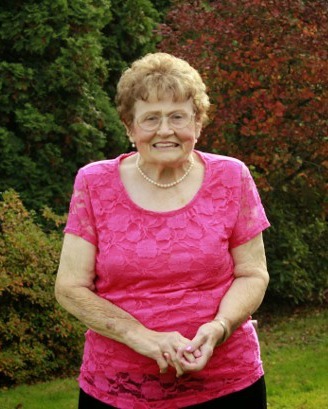 She loved spending time with family and friends, cooking, being a hostess, traveling, flowers and gardening. After moving to Sharon Care assisted living, she loved playing Bingo. Dolly will be remembered for her faith, compassion, hospitality and friendship. She was preceded in death by her parents; brother, John R. Cowin; sister in law, Vera Claus; and husband, William R. Cowin. Dolly is survived by sons, Jerry (Linda) Cowin, John (Pam) Cowin, Jeff Cowin, Jay (Brenda) Cowin and Joel (Manda) Cowin; 14 grandchildren; 3 greatgrandchildren; nieces, Gerry (Richard) Tetrault, Lavonne (Carey) Gammon, LaWonna (Larry) McPherson and Becky (Jim) Dobel; brothers-in-law, Al Cowin and Jim (LaVera) Cowin; and sister-in-law, Marion (Byron) DeHart. She was also a special mother to Ron (Patsy) Keeling and their three sons. There will be a viewing held at Newell Hoerling Mortuary Thursday, Aug. 16, 2018, from 4 to 6 p.m. A memorial service will be held at 2 p.m., Sunday, Aug. 19, 2018, at the Cooks Hill Community Church.